NOTE: It is recommended to use the upgraded version, RPLiDAR A2M6 360 Degree Laser Scanner Kit - 18M Range as your alternative choice (unit price $499). RPLIDAR A2M5/A2M6 is the enhanced version of 2D laser range scanner(LIDAR). 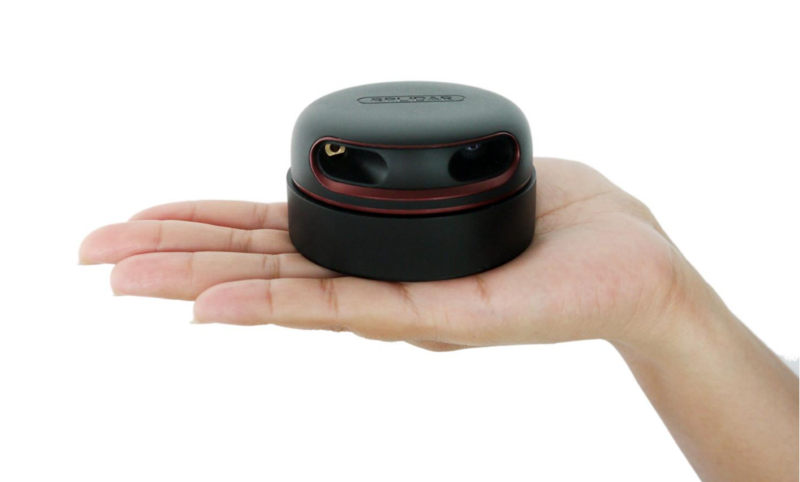 The system can perform 2D 360-degree scan within a 16-meter range. The generated 2D point cloud data can be used in mapping, localization and object/environment modeling. 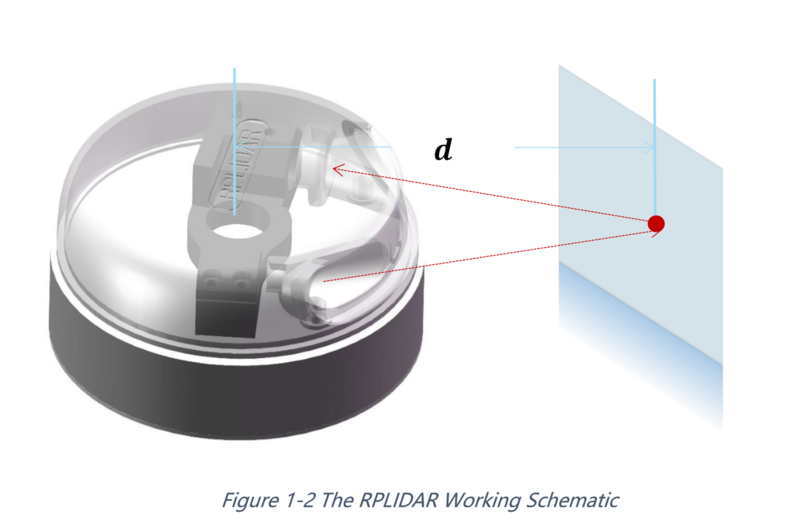 The RPLIDAR A2 comes with a rotation speed detection and adaptive system. The system will adjust the angular resolution automatically according to the actual rotating speed. And there is no need to provide complicated power system for RPLIDAR. In this way, the simple power supply schema saves the BOM cost. If the actual speed of the RPLIDAR is required, the host system can get the related data via communication interface. The detailed specification about power and communication interface can be found in the following sections. The RPLIDAR A2 is based on laser triangulation ranging principle and adopts the high-speed vision acquisition and processing hardware developed by SLAMTEC. The system ranges more than 4000 times per second. 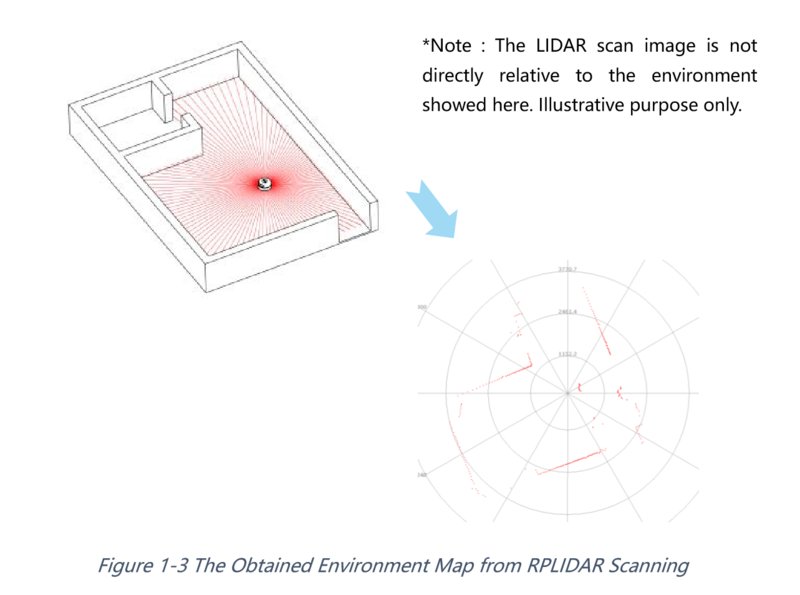 During every ranging process, the RPLIDAR emits modulated infrared laser signal and the laser signal is then reflected by the object to be detected. The returning signal is then sampled by vision acquisition system in RPLIDAR and the DSP embedded in RPLIDAR starts processing the sample data and outputs distance value and angle value between object and RPLIDAR via communication interface. When drove by the motor system, the range scanner core will rotate clockwise and perform the 360-degree scan for the current environment. The RPLIDAR A2 system uses a low power infrared laser as its light source, and drives it by using modulated pulse. 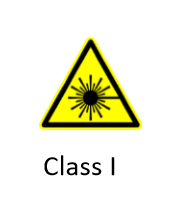 The laser emits light in a very short time frame which can ensure its safety to human and pets, and it reaches Class I laser safety standard. The modulated laser can effectively avoid the interference from ambient light and sunlight during ranging scanning process, which makes RPLIDAR work excellent in all kinds of indoor environment and outdoor environment without sunlight. During the working process, the RPLIDAR will output the sampling data via the communication interface. And each sample point data contains the information in the following table. If you need detailed data format and communication protocol, please contact SLAMTEC. The RPLIDAR outputs sampling data continuously and it contains the sample point data frames in the above figure. Host systems can configure output format and stop RPLIDAR by sending stop command. For detailed operations please contact SLAMTEC. The RPLIDAR A2 adopts the newly extended high speed sampling protocol for outputting the 4000 times per second laser range scan data. 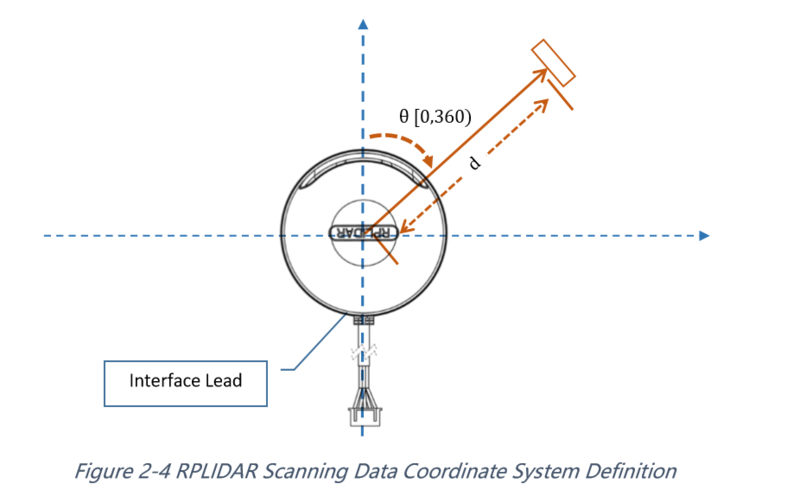 Users are required to update the matched SDK or modify the original driver and use the new protocol to use the 4000 times per second mode of RPLIDAR A2. Please check the related protocol documents for details. 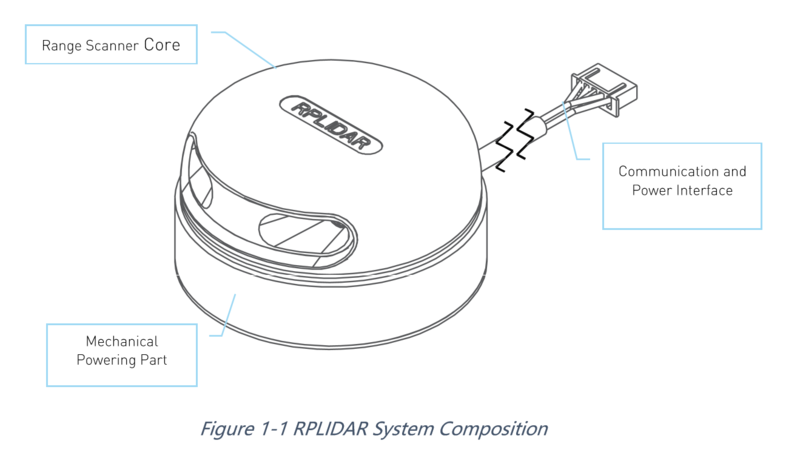 The RPLIDAR A2 is compatible with all the communication protocols of previous versions. Users can directly replace the previous RPLIDAR with RPLIDAR A2 and use it in the original system. But in this scenario, the RPLIDAR A2 will work in compatible mode and the system will take range 2000 times per second. Note: the triangulation range system resolution changes along with distance. Note: the laser power listed above is the peak power and the actual average power is much lower than the value. To make the RPLIDAR A2 working normally, please ensure proper space to be left for its emitting and receiving laser lights when designing the host system. The obscuring of the host system for the ranging window will impact the performance and resolution of RPLIDAR A2. If you need cover the RPLIDAR A2 with translucent materials or have other special needs, please contact SLAMTEC about the feasibility. You can check the Mechanical Dimensions chapter for detailed window dimensions. RPLIDAR A2 takes the only external power to power the range scanner core and the motor system which make the core rotate. 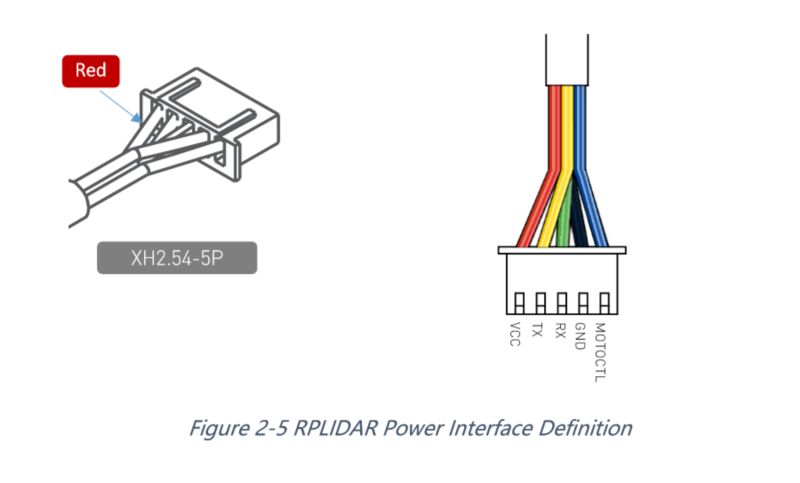 To make the RPLIDAR A2 work normally, the host system needs to ensure the output of the power and meet its requirements of the power supply ripple. Power Voltage Ripple mV - 20 50 High ripple may cause the core working failure. System Start Current mA - 1200 1500 The system startup requires relatively higher current. For more technical details, please visit the file below. Can you order the serial board for this separately? Hello, What is the operation Temperature, is communication board is arduino based? can i have a full housing for both weather proof? Hi, is discount available for 2pcs?